Right now Bitcoin feels like the Internet before the browser” – Wences Casares, founder of Xapo. As Wences Casares rightly pointed out in the quote above, we are still in the very early days of Bitcoins; Bitcoins as a digital currency is only a tip of the iceberg. Before the internet browsers, anyone could hardly use or build anything on the internet. The same can be said of Bitcoins, today Bitcoins only remains a crypto-currency. Browsers become the Graphic User Interface of the internet and allowed us to have more defining and fulfilling interactions with the internet. With the internet browsers we could access email, publish websites, use browsers apps, stream videos and do more. Similar to internet browsers, Blockchain technology is more of a Graphic User Interface to the Bitcoin technology. Bitcoin’s Blockchain technology allows us to express and experience the full potential of Bitcoins. Blockchain technology is what makes Bitcoins decentralized, transparent, autonomous and lack a central point of failure. The technology of Blockchain is not limited to only crypto-currencies, we could implement it in various aspects of life to achieve transparency, decentralization and automation. Bitcoin is the world’s first decentralized currency, the innovation behind the Financial technology revolution and also the first currency to have reached Gold parity, but that is just a tip of the ice berg. Blockchain is the technology behind Bitcoins, and Blockchain technology allows us to build centralized, autonomous and transparent systems. 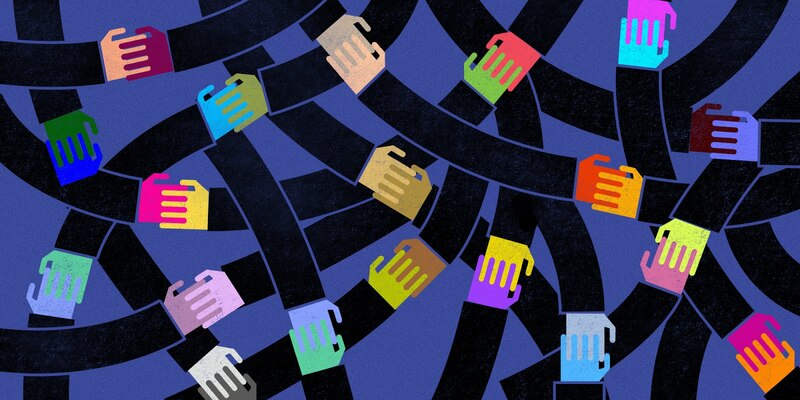 Blockchain technology can be implemented into our e-government and economic systems as well as the Internet of Things creating a society which is decentralized, open, transparent, free and economically empowering. While Bitcoin is revolutionizing the financial industry, Blockchain technology has the potential to revolutionize our entire civilizations. Bitcoin Effect is a report on the technology, potential and applications of Bitcoins and its Blockchain technology by Makafui George Dzivenu, the founder of Block Rush. Bitcoin Effect covers the potential applications and opportunities of the Blockchain industry. 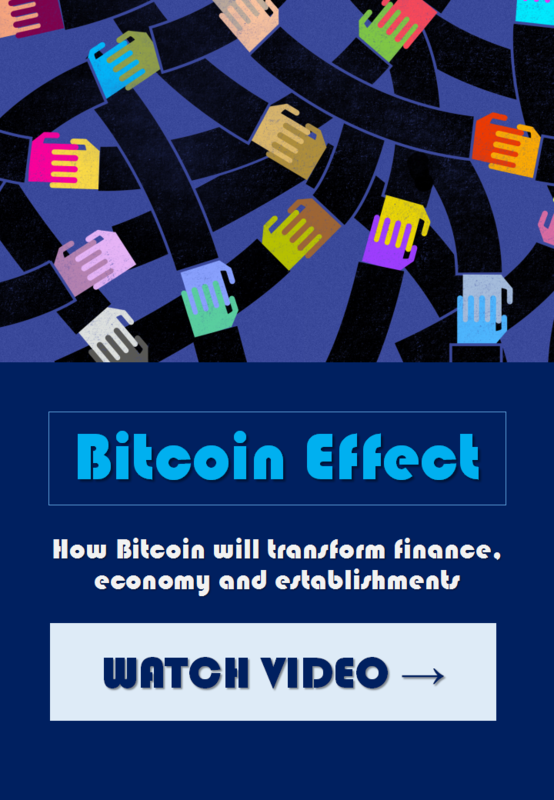 The Bitcoin Effect report is a must read for all who want to understand the full potential of Bitcoins! Understanding the value of Bitcoin – understanding the basics of Bitcoin technology, history of Bitcoin, creation of Bitcoin, crypto currency, Bitcoin network and the value of Bitcoin. Get to know Satoshi Nakamoto – understanding the personality, understanding the vision of Satoshi Nakamoto, Satoshi the inventor, Satoshi the hacker, Satoshi the innovator, Satoshi the most wanted and facts about Satoshi. Understanding the evolution of money 2.0 – smart money, creation of money, nature of money and digital Gold. 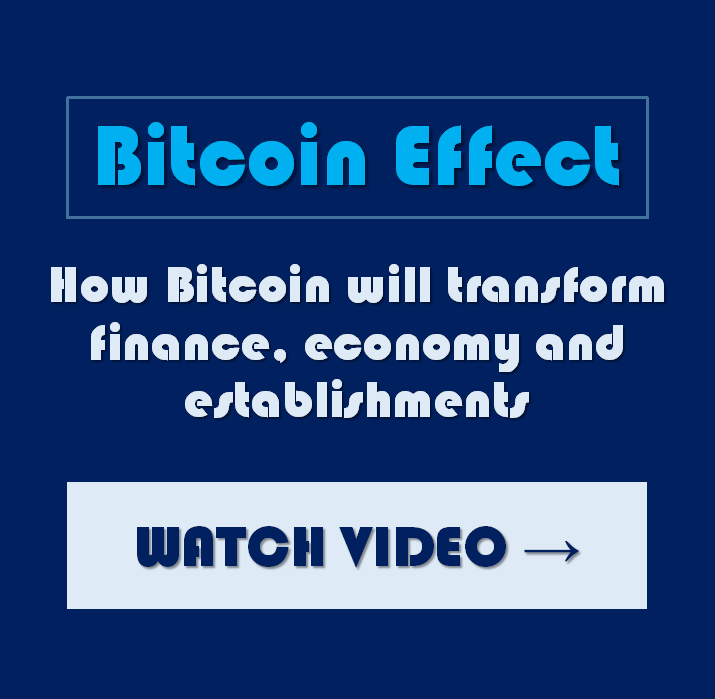 Impact of Bitcoin these industries: financial technology, employee remuneration, global remittance, online payment processing, inter-bank settlements, peer to peer lending, alt-coin industry and Blockchain industry. Understanding Blockchain technology technology, nature and possibilities. Understanding the nature of Bitcoin 2.0 – autonomy, smart contracts, decentralization, incorruptibility and privacy. Understanding the possibilities of Bitcoin in Internet of Things, Sharing Economy and institutions. Understanding the applications of Bitcoin technology in smart health, smart business, smart governance, smart property, communications and .mart security systems. Understanding the opportunities value of Bitcoin new Industries, investment opportunities, business opportunities and career opportunities. Understanding the opportunities in Bitcoin industry for enthusiasts, developers, entrepreneurs and investors. Significant inventions of the Bitcoin technology and industry. Understanding the basics of Blockchain technology. Insights of the applications of Blockchain technology in the Sharing Economy. Insights of the applications of Blockchain technology in the Internet of Things. Insights of the opportunities of Blockchain technology. Effect of Bitcoin on business and entrepreneurship. Effect of Bitcoin on investment and venture capital. Understanding new investment models such as ICOs(Initial Coin Offerings). Bitcoin has possibilities beyond coins. Fact-backed projections on the Bitcoin technology and industry. This report will look at the full effect of Bitcoins on the financial industry as well as the implications of Blockchain technology on our civilization. Learn more about the report here: Bitcoin Effect. How much do you know about Global inequality? This research video shines light on the just how bad global inequality is. What do you think - does 1% of the population own 99% of all wealth? Did you know poverty is an illusion? Everyone has some special talent in them that they could translate into wealth. The free Mirage Called Poverty report by Makafui George Dzivenu reveals the how to uncover, develop and unleash your latent potential. Download The Mirage Called Poverty now! 2016 may not be my ideal year, but it was worth it. In 2016 I made a few new friends - well, virtual Facebook friends. I also made a new discovery, a discovery with the potential to forever change the cause of human civilization. Don't get me wrong, I did not invent something, I only discovered the potentials of a technology that was half a decade old. During the rest of 2016, I would spend time studying the potential implications of this technology. I would make assumptions that would outlive myself and many generations to come. It was early February 2016, and a mild anarchist was Googling for liberal technologies. The Sharing Economy was a great idea but people loved to own their personal and private properties. Even worse, the capitalists still controlled the sharing platforms. The middlemen were cut off, but the lords of the system remained. I came autocross Bitcoin and other amazing Bitcoin 2.0 projects. Still enthusiasts argued that Bitcoin was more than just a crypto currency. Blockchain - the underlying technology of Bitcoins was being hyped above Bitcoin itself. I was familiar with Bitcoins, the previous year I had used Bitcoins to buy a domain and hosting on Namecheap for my first venture that went nowhere: moneyspree.com. All this while I was only a customer of Bitcoin it was not until 2016 that I came to know of Blockchain technology - the technology that powers Bitcoin. At the time I discovered the blockchain technology, I was working on UnLawed Society, my blueprint for a utopia with a small federal government. Blockchain was the technology left to build such a society. My discovery of Blockchain technology could have come at a better time. At first it was the fabulous projects of Bitcoin 2.0 that got my attention, but Bitcoin 2.0 was about building upon the technology of Bitcoin - Blockchain. I wasn't the only one who had discovered the potential of blockchain technology. Slowly, the world was waking up to its potential, but again the skepticism and ignorance cloud the true potential of Blockchain technology. The idea of building systems that needed no middleman, yet were economical, tamper-proof, fast, lacked a single point of failure and decentralized was intriguing people. New Bitcoin 2.0 projects were spring up daily and investors were taking turns to gamble. As I explained in my report: Bit Gold, Bitcoin is the digital Gold. Even Satoshi Nakamoto likened Bitcoin miners to Gold miners. The 21st Century will be defined by the "Block Rush", not the "Dot Com Bubble". For now "Block Rush" remains my neologized term, I hope it soon gains traction and adoption and acceptance. As a decentralized open source technology, the Blockchain revolution had not definitive leader. Amid loud skepticism, the resistance of governments, the bust of vaporware app coins, the huge losses to of hackers and the multi-million dollar bugs in most Bitcoin 2.0 projects, it seemed blockchain technology was plagued and doomed to fail. Blockchain was not being given the fair appreciation and credit it deserved. Many technologies had won Nobel Peace prices, yet none of them could bring more peace, freedom and prosperity to humanity as the blockchain technology. The world needed to be shown the usefulness of the blockchain technology. 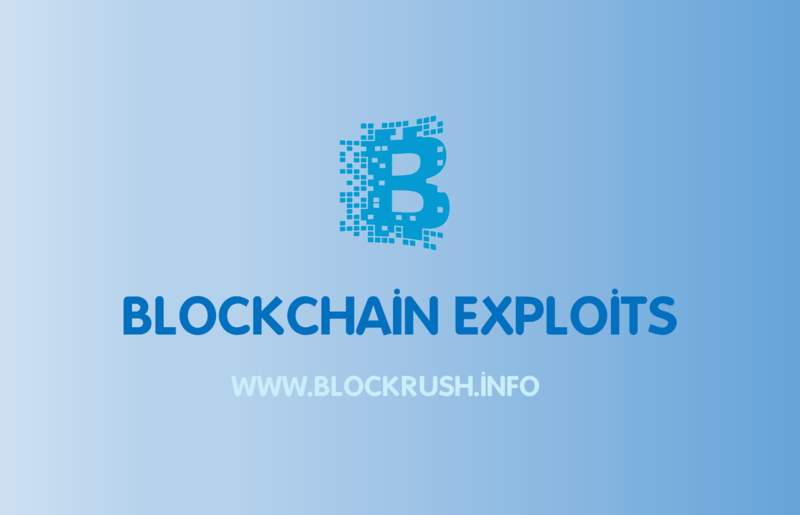 BlockRush.info is an information site dedicated to exploring the exploits of the blockchain industry. 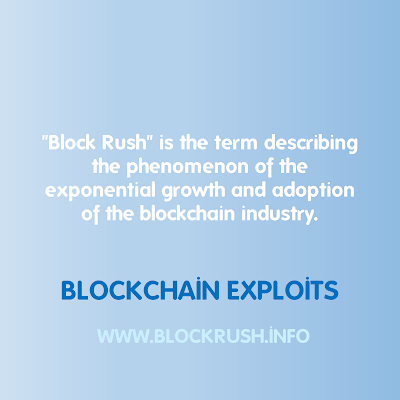 At BlockRush.info you will find credible information about the possibilities and opportunities of the blockchain technology. No hyping and no bias. Blockchain technology is not a technology of anarchists, it is the technology of humanity: it is about freedom, privacy, decentralization and integrity. Blockchain technology is not a needless bloatware hyped by insider, blockchain technology is worth more than the IoT - in fact, the blockchain technology is the only reputable technology to power the IoT. Blockchain technology is robust, economical, secure, has no single point of failure, lightening fast, scalable and tamper-proof. 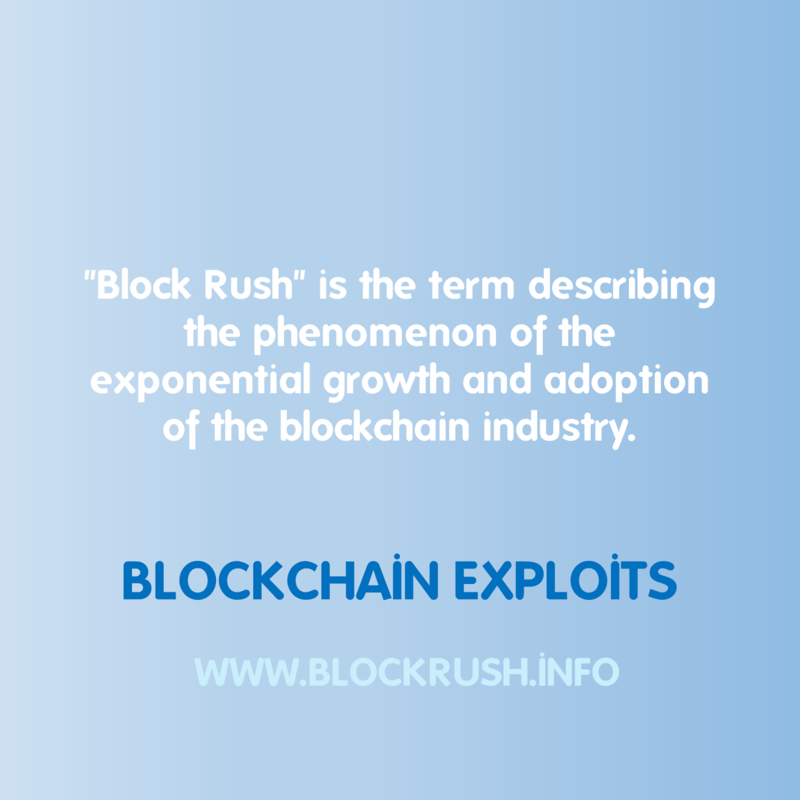 At BlockRush.info you will find exclusive reports on the blockchain potential. We also report on news, blockchain lifestyle trends, blockchain products reviews, polls, forums and more. We have case studies where we analyze the applications of blockchain technology to society. BlockRush.info is adapted to all the four stake holders of the blockchain industry: entrepreneurs, investors, software developers and enthusiasts. Blockchain and FinTECH enthusiasts are welcome to guest blog with us. 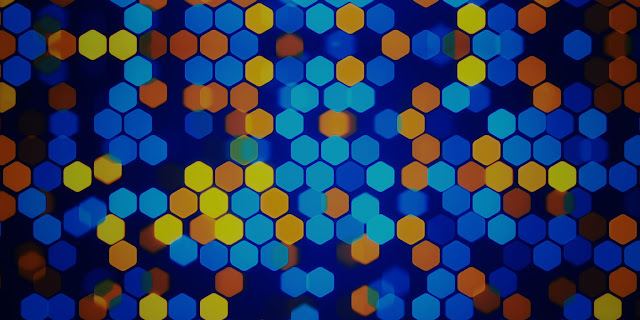 BlockRush.info will be launching early January 2016. Kindly visit BlockRush.info, read our posts to inform yourself, take polls, join our reviews, subscribe to our monthly digest newsletter, interact with a FinTECH community and get our exclusive reports to gain insights into the blockchain industry. Blockchain technology is not about FinTECH. FinTECH, IoT and smart decentralized governance are just products of blockchain technology. Blockchain technology is not going away, it will outlive this generation and many more. The future of humanity will be blockchained. 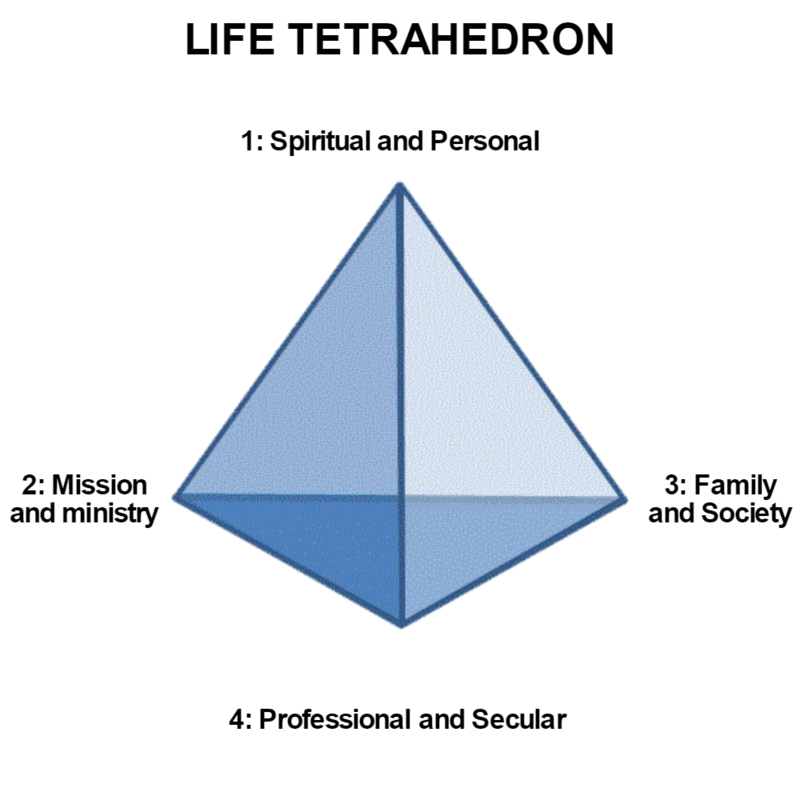 The Life Tetrahedron is a classification and prioritization principle of life. It is the very framework of life. As life became more and more complicated, it has become more difficult to retain personal sanity, vision, values and identity. The influence of media and pressure from society has clouded our judgments and sense of who we are and what we should even be. With the weakening of family of the family system and the failure of the academic system to care holistically for human beings, most people of this generations have very little wisdom, most of which they accumulated form their own personal undoings and social media sites. As human beings we need more than just gigs from 'how-to' websites, or influence from friends. Human beings are not animals, and we are not plants. Being human entails more than just being in the form of a human. Traditionally, religious institutions took care of developing the spirit, the family took care of training the soul, and the academia and society took care of the body. However in this age of secular capitalism where materialist needs comes first, humanity has forsaken its true identity in the pursuit of materialists possession. Of the three elements of man, the spirit has been relegated into the background under the name of the 'sub-concious-mind', by some the academia. Ignoring spiritual development means the death of your human spirit, and when that happens you have a human being who has only a soul and body( the spirit is dead) - just like animals. Technically that is a human animal. By relegating spiritual welfare into the background, society has effectively created a generation of 'human animals' who exhibit the very same basic instinct as animals: survival. A secular generation with failed family and academic institutions only means more and more human animals will be created. Animals have only one basic instinct: survival, and so do humans animals. Soon values such as morality, honesty, respect for the elderly, wisdom, modestly, faithfulness cannot be preserved by entities with only survival instinct. The result is glaring. Our society now only feeds on everything it can, human, animal, and the every earth that we all live on. This has grown into what is known today as the 'cut-throat capitalism' and is also summarized in the popular saying: 'each man for himself; God for us all'. 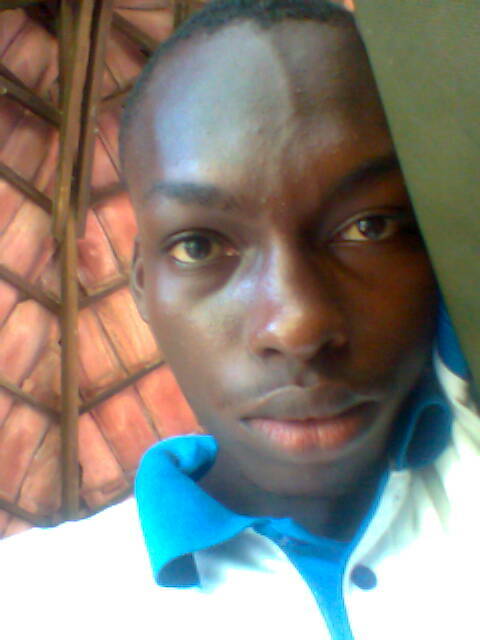 Its a world of selfishness, materialism, foolishness and every vile thing. "The road of life is wrecked with the lives of reckless people", they say. As the age of secularism dawn on us like a sea storm and even the line between reality and truth is fading. With no proper parental upbringing, a majority of the human population are shallow on the inside and constantly looking for content on from the external to fill themselves with. They turn to movies, celebrities, reality shows, sport, politics, religious cults, media, and academia. Most people do not do not know who they are or what to do with their lives. Instead they turn to the governments, employers, public speakers, media, celebrities, friends, academia, and religious lords to tell them who they are and what they should do with their lives. People even want to be told how they should even live their lives. In the 21st century, the human soul has become the next frontier for capitalism. Humanity has become the prime product of this age. Religious institutions, organizations, governments and corporations want to model humanity into their version of the ideal human. Its the age of confusion, and the line between 'needs' and 'wants' is blurring. Necessity they say is the mother of invention and an age of confusion demand some order. Then came Abraham Maslow and his theory of needs, and it soon became the measuring stick of life for most people. The theory allowed people to differentiate between their needs and wants. It gave people the power to prioritize and bring order into their live. Abraham Maslow's theory of Needs would have been perfect for non-spiritual beings like animals, excerpt that we are human beings, not human animals. Human beings have a soul and spirit, which are very important yet completely ignored by the Abraham Maslow theory of Needs. For this reason I am proposing the Life Tetrahedron. The Life Tetrahedron is basically the framework for the human life. The Life Tetrahedron is more than just a theory of needs, in itself its a simplification of the very meaning and purpose of life. What is the Life Tetrahedron? The Life Tetrahedron consist of four elemental pillars of needs arranged in a fatally nonnegotiable order. No matter what happens, you must keep the prioritization of the elements in their default order, especially at the point of death. You can do this with many other theories out there, but what makes the Life Tetrahedron special is the sense that if you heed it, you will have a complete and fulfilled life both in this world and the next. Most theory of needs overlook spiritual needs, meaning they are targeted at human animals, not human beings. How Does the Life Tetrahedron Work? By the Life Tetrahedron you order your life in the order of the elements of the Life Tetrahedron. No matter what happens, you must preserve the elements of your Life's Tetrahedron in the order they are on the Life Tetrahedron. Spiritual welfare: No matter what happens in your mission, ministry, family, social life or career, your spiritual welfare should always come first. You never know when you will die, you need to be prepared for your afterlife. Personal development: Before you can help others, you first need to discover and develop yourself. You need to take care of yourself, learn, train, be happy, optimistic and prepared. Mission: Its your duty to discover your mission on Earth. Some people call it destiny while others call it purpose. Everyone has one; find yours. Ministry: Ministry is the service you render to to your fellow humans with your gifts or talents. Everyone has some gift or talent, and its our duty to use it to minister to our fellow humans. Family: Family comes in as the third element on the Life Tetrahedron. Love, affection, companionship are basic human needs. Society: Society includes all those in your social circles, your friends, co-workers, neighbors, and everyone else in the world. Secular: This is more about the canal needs, what every they maybe. From Ghana, I'm Makafui George Dzivenu and I'm the ambition-obsessed fellow who dropped out of High School because it was driving me out of my mind. After that I tried to pull a few tricks including Money Spree which failed but also taught me priceless life lessons. As a product of my lessons I developed the Life Tetrahedron to serve as the framework of the human life. If you are a human being, you should check it out. I then setup Nanciaga to directly help anyone setup their life Tetrahedrons. After spending sometime to re-discover myself and develop myself psychologically, I'm out now set to teach the world a lesson too. My first victim will be the current monochrome legal system which has screwed me on a few times. I launched the UnLawed Society to reform the current legal and political systems into Multic-colored Legal system and Multicracy respectively. I have also written a report titled: Block Rush which details my lessons on the technologies, applications, opportunities and future of the blockchain technology. It is a must read for all who want to know more about the possibilities and future of the blockchain technology. Block Rush is a non-guide making it suitable for all to read, wherether you are novice to the blockchain, an investor or an entrepreneur. In Block Rush you you discover the potential of the blockchain technology, and I have too. Bit Mega is non-profit organization I setup to build a blockchain that will power the smart cities of the future as described in the report. I'm 22 years old and oh, I'm just getting started. Spiritually I am a Believer by my Father's standards. Disclaimer: Before dropping out of High School for personal reasons I do not regret, I took an alternate legally accredited graduation exam. This means I am still a High School graduate. Honestly I would not have come this far if not for my education during which I also made great friends. Bottom line: School is important, illiteracy is the worst state to be in as a human. I would never advice anyone to drop out of school. Blockchain enthusiast, founder of Block Rush and author of several books including Bitcoin Effect. Learn more about me.